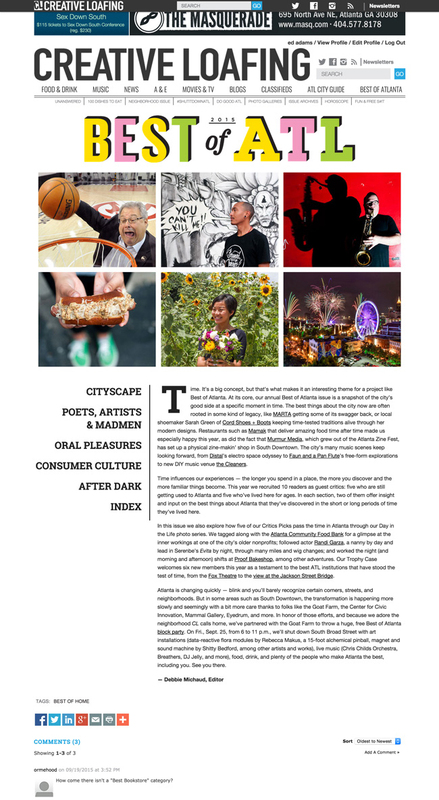 Challenge: CLATL wanted to simplify the home page of their Best Of Atlanta section. They wanted to simply the navigation on the landing page and feature all the editors’ notes as well as the critics’ and readers’ picks. We also wanted to make this new template responsive to alleviate multiple desktop and mobile templates to update. Solution: As always, its a good thing to feature as much of the editorial photography and graphics as possible. This annual guide is chock full of themed images annually. The first thing is to create a header and navigation grid that not only features this year’s themed artwork but can be updated easily by the editorial staff with little interaction from the technical staff. We converted the navigation to sprites controlled by CSS and provided the template to the creative department. The remaining elements of the page are also generated automatically by pulling key content types and section IDs.